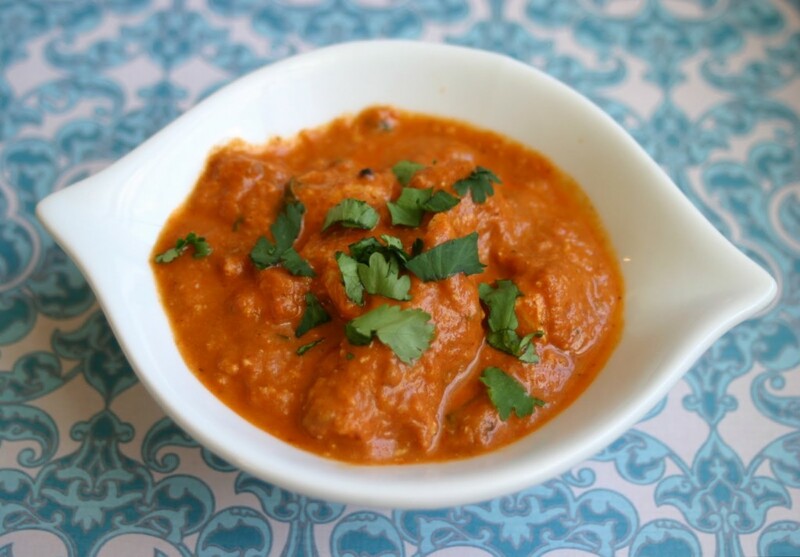 Here’s a Paleo friendly version of an Indian classic. For an added touch, try serving it over a bed of Paleo Rice. Step 1 Using a large bowl, combine 1/2 cup coconut milk, lemon juice, 2 teaspoons cumin, cinnamon, cayenne, black pepper, ginger, salt and chicken pieces. Cover and refrigerate for at least 1 hour (longer if possible). Step 2 Using a barbecue or grill pan, heat as hot as possible. Step 3 Skewer your marinaded chicken pieces and place on your lightly oiled grill to cook. Chicken should cook quickly and is done when the juices run clear. Step 4 In a saucepan over medium heat, melt the remaining butter and sauté garlic and jalepeño for 1 minute. Add paprika, remaining cumin, salt, tomato sauce and remaining coconut cream. Step 5 Once sauce begins to bubble, reduce heat to low and simmer for about 20-mintues or until sauce thickens. Step 6 Add your chicken to sauce, transfer to serving dish and garnish with cilantro. To make this dish feel even more "Paleo Indian," try serving your chicken over a bed of Paleo Rice for that added touch.